Oh, Canada! It's voting time! Our oh-so-helpful judges, Vitrine and last challenge's winner, whimsypie, have narrowed down our entries for voting. In our next challenge, one of these four shops will be featured in the top row of all entries: AnnyMay, bstudio, clonehardware and TheOldBarnDoor. Congratulations, gals! The polls are open and will remain open until Friday, November 4, midnight (Ottawa time). 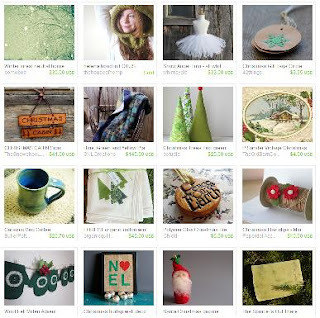 We had four gorgeous entries for this week's challenge and a wonderfully large voter turnout. Our winner this week is whimsypie with her "Amazing Greys" collection. Congratulations, Rhonda! 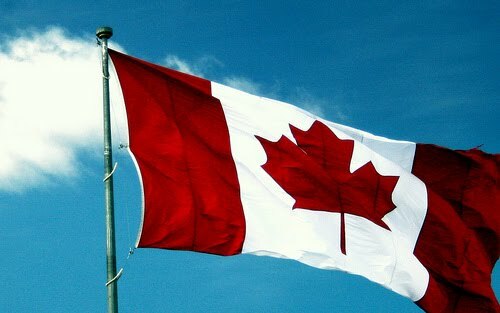 * post the link to your treasury in the comment section of this blog by midnight (Ottawa time) Friday, October 28, 2011. If your treasury link isn’t here, your treasury isn’t entered in the challenge. This vibrant oil on canvas painting is a lovely representation of Canadian nature. It's also very reminiscent of the work done by the Group of Seven. Richard of PrankePaintings is a third generation artist from Montreal. His grandfather and father were artists too and the talent gene has definitely been passed on! This one is my favorite because of the starkness of the birches combined with the vibrant fall colors and turquoise water. The angle that the artist has captured makes you feel like you've stumbled upon a secret pool and it looks inviting enough to take a swim! For more beautiful paintings, please visit PrankePaintings. Oh, Canada! Get your vote on! Voting will remain open until Friday, October 21st, at midnight in Ottawa. Looking at this stylish pair of mitts you would never guess that they have been recycled and repurposed from an old brown and turquoise sweater! 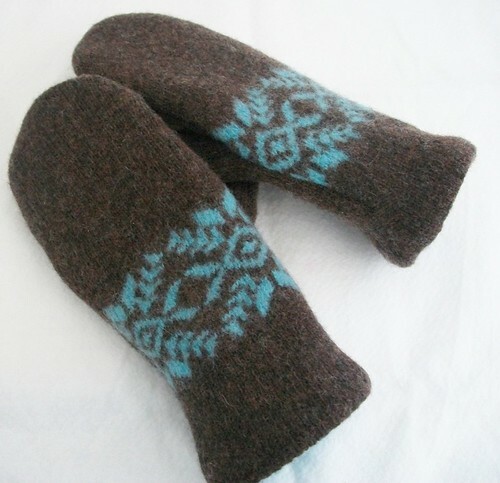 Teresa of RecycledandResewn started experimenting with upcycling old sweaters into warm cozy mitts by lining them with polar fleece, way back in 2005 and successfully sold more than 130 pairs last year alone. She has now branched out into pillows and totes as well. 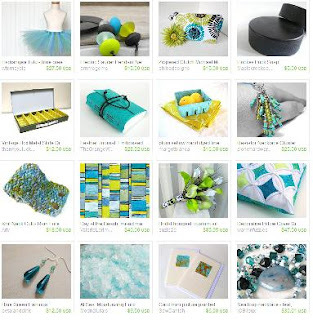 More of her amazing talent can be viewed in her fab shop! Oh, Canada! We have a winner!! x 2, eh? 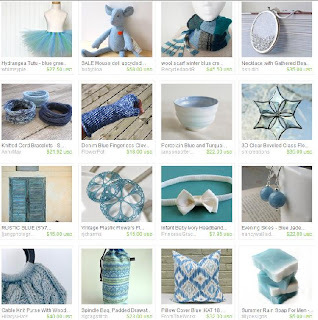 Not only did billiemonster’s gorgeous curation clean up in the Oh Canada Treasury Challenge, but the all-Candian collection also took the team to Etsy mecca, The Front Page. Congrats, to billiemonster and all featured teammates. What a great way to begin a new season of challenges! We’ll honour our winner in this week’s treasury challenge, by using any item from billiemonster's shop in the top row of challenge entries. 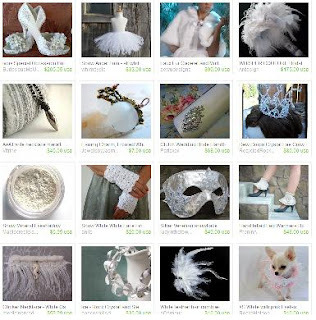 * post the link to your treasury in the comment section of this blog by Friday, October 14, 2011. If your treasury link isn’t here, your treasury isn’t entered in the challenge. * use 6 team members, including our challenge winner, in the top three rows. Incorporate as many team members as you like, but there must be at least 6 team members in the top three rows to qualify for the challenge. Judging -- how about you? Not into the treasury making thang, or just want to sit back for a bit? Please, be a narrow down judge, to help whittle the list of entries down to manageable size for voting. Be one of the first three folks to volunteer in the comment section of this blog to take on this important role. 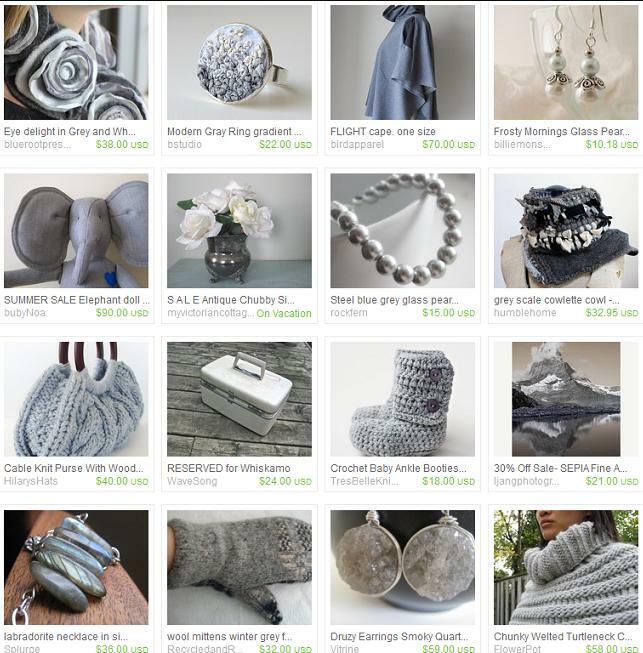 Since treasuries should not include an item from your own shop(s), challenge winners are cordially invited, but never expected, to help narrow down entries. This is not your Grandma's apron! 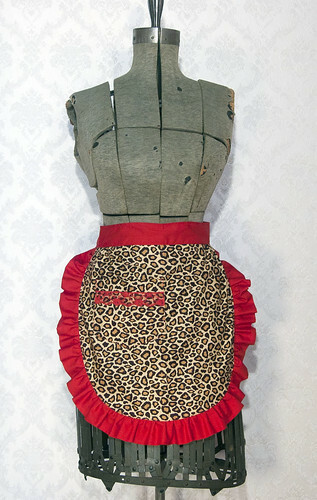 Be a domestic goddess (or pretend to be one) while doing tedious chores around the house wearing this leopard print Apron by Weezi. I could see Nigella in this, couldn't you? Lisa loves the 1950s and 60s, and has this and many more vintage inspired items in her brick and mortar store as well as her Etsy store. The following four treasuries have been selected by our judge as finalists in the treasury challenge. 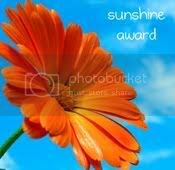 Each picture is clickable, so please take the time to go to the original treasury and decide which of these gorgeous finalists you like best. Voting is open until Friday, October 7th and can be found in the sidebar of the blog. The winner will be announced on Monday, October 10th, when we'll begin the next challenge.